WWE is apparently using Becky Lynch’s legitimate injuries to get heat on Nia Jax. Attempting to explain why Lynch is not wrestling Raw Women’s Champion Ronda Rousey this Sunday at Survivor Series, WWE kind of blamed Jax during the opening segment of SmackDown LIVE. 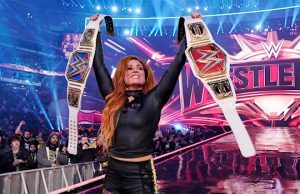 With reports surfacing throughout the day that Lynch was pulled from wrestling at Survivor Series, WWE gave an explanation on how Jax injured the SmackDown Women’s Champion. WWE aired zoomed in and slow-motion footage of Jax injuring Lynch with a stiff blow (the incident was not shown on the Raw broadcast). Tom Phillips then reported that Lynch sustained a broken face and severe concussion during SmackDown LIVE Women’s division invasion of Monday Night Raw. Here is fan footage of the incident. Jax took to Twitter on Wednesday to comment on injuring Lynch. 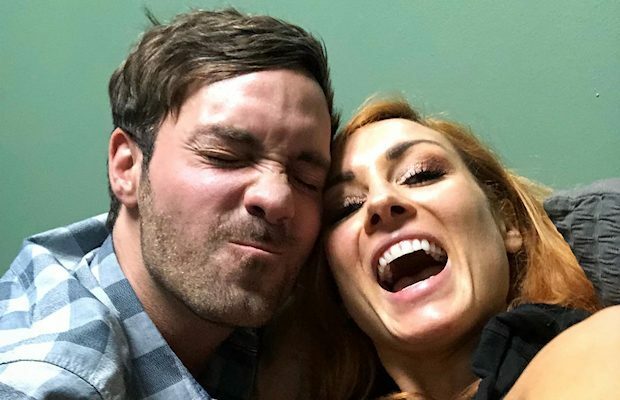 Becky Lynch’s boyfriend, actor/comedian Jeff Dye, responded to Jax’s tweet with an angry message before quickly deleting it. A fan tweeted Jax a screenshot of Dye’s post and she appeared to find it funny. Jax doesn’t seem sorry about the incident. On Thursday, she tweeted this screenshot of an Instagram post rapper Cardi B did the day before. Jax also noted that doctors checked on her following the incident and they said she’ll be OK to wrestle in the Women’s 5-on-5 Traditional Survivor Series Elimination Match.